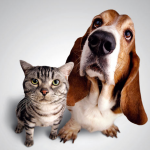 Great post thanks, good information I always find it harder when large pets live in the homes. Thanks for sharing these great tips with us, some very useful information. Microfibre cloth is a very good idea. Thanks! Thanks for sharing this tips. I have two carpets and two dogs 🙂 You can imagine how hard is for me to keep the carpets clean. Thanks a lot for the advices here! Regards! What a good post! This is very good information for thorough cleaning. I will definitely pass this on, thanks!